While the World Health Organization (WHO) has stated numerous times that no country or region should have a C-section rate higher than 10-15% percent, both Canada and the USA have seen rates almost double that over the years. According to the CDC (Births: Final Data for 2009, table 22), the number of deliveries vaginally was 2,764,285; the number for C-sections was 1,353,572- meaning that 32.9% of all births were done by C-section during the data year. 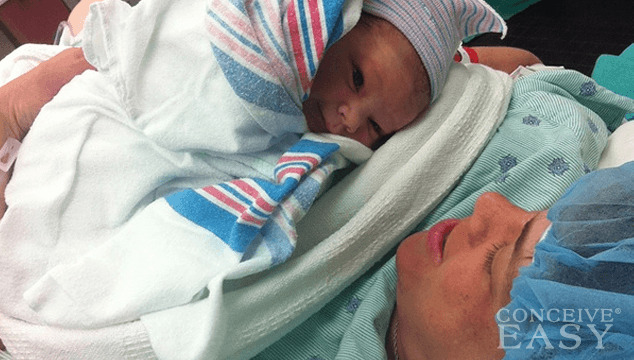 While some C-sections are performed for the safety of the mother and the unborn fetus, many are done simply as a preference because of a previous C-section. Due to this growing trend, the American College of Obstetrics and Gynecology has issued recommendations that repeat C-sections be performed only when medically necessary, and has also advised that for most women proper “counseling and couching” can offer women the option to have a vaginal birth after a C-section (VBAC). During pregnancy, this is often a question posed to the medical professional caring for a mother to be. There are many reasons that a C-section would be necessary. Some C-sections are planned well in advance, while others are performed in case of an emergency with the mother or the fetus. Some reasons for an emergency or scheduled C-section are found below. When a fetus is in any position other than head down, a C-section may be necessary in order to guarantee their safe delivery. Depending on the position of the fetus, medical professionals can sometimes reposition him/her using forceps or manual manipulation. When having multiples, what is often seen is that one of the fetus’ has moved to the proper position while the others don’t, this often results in a C-section being necessary. If the fetus’ are conjoined, a C-section will also be necessary. Birth defects such as severe hydrocephalus will also require the fetus to be born by C-Section. If the mother has an illness or disease that threatens the health of the child or can be passed to the child, opting for a C-section is the best chance the fetus has. Illnesses such as HIV or active genital herpes can be passed from mother to fetus during the birthing process, therefore, it is much safer if a C-section is performed in order to minimize the risk of fetal infection. Several things can happen to the placenta which will require a C-section either through injury or natural causes. If the placenta detaches prematurely from the uterine wall or shows signs of damage, where it is no longer providing sufficient nutrition to the fetus, a C-section will be performed. If the umbilical cord, essentially the life line for the growing baby, drops into the birth canal before the fetus emerges an emergency C-section will be performed. Also, if the umbilical cord becomes pinched, as both these situations can result in not enough oxygen reaching the baby for an extended period of time. If labor begins to stall or stops completely and cannot be stimulated with medications such as Pitocin, a cesarean section may be necessary. Careful monitoring of a fetus during labor is necessary to ensure that the fetus is tolerating the labor well. If there is significant distress noted in the heart rate of the fetus, an emergency C-section will often be called. Often seen in mothers with gestational diabetes and in mothers who have gained significant weight, a large baby just won’t fit through the birth canal. In order to avoid breaking the baby’s collar bone or shoulder dystocia, a C-section will be necessary. Whether scheduled or emergency, C-sections follow pretty much the same protocol. While, you can’t always know everything that will happen during pregnancy, knowing in advance what to expect in case you need a C-section can make the experience less scary. If you choose to stay awake during the procedure, you can often have someone in the operating room with you. If you are having an emergency C-section performed and must be put to sleep, please be aware that this will probably not be possible. You will be administered oxygen through either a mask or by a small plastic tubing placed in your nostrils. You will have an I.V. placed in your arm. A catheter will be placed in your urethra to empty your bladder while you are numb. A “privacy screen” will be placed over your abdomen. You will be given either general anesthesia (put to sleep) or be given an epidural, which will numb you from feeling the procedure but will allow you to hear and possibly see the birth of your baby. The obstetrician will make either a vertical or horizontal incision into your belly and then another into your uterus in order to deliver the baby. The incisions are then closed. The uterine incision is closed using dissolvable stitches, while the belly incisions are usually closed with stitches or stables which are removed a few days later in the doctors office. There are many complications that occur more often with C-sections than with vaginal births. A C-section is a major surgery, albeit, common. Some of the complications that mothers face are hemorrhage, needing a transfusion, reactions to anesthesia, organ damage and in rare cases- death. Any concerns regarding having a C-section should always be discussed thoroughly with your medical professional. Ask any question you may have at a scheduled appointment just in case you suddenly find yourself needing one. You should also know your obstetricians position on repeat C-sections, even if this is your first child. Bringing a child into the world can be a mix of emotion, but having the right information can relieve a lot of stress and worry.